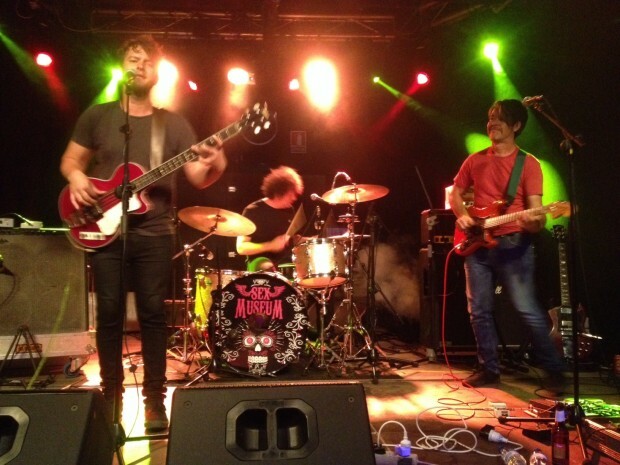 Perth boogies-blues trio, Huge Magnet, wrap up a gluttonous Spanish tour this weekend, having taken in Madrid, Barcelona, Andorra, San Sebastian, A Coruna, Getafe and Pontevedra… as well as playing some shows! Upon arrival back home there’ll be no rest, with the release of their debut LP, Self Service, itself being serviced by three hometown launches. Huge Magnet toast Self Service on Friday, June 27, at Mojos (with Boom! Bap! Pow!, Ofa Fotu and Blind Tiger Blues Box); Saturday, June 28, at the Rosemount’s Bar 459 (with Day Of The Dead and Flyball Gov’nor) and Saturday, July 5, at the the Indi Bar (with Day Of The Dead and Blind Tiger Blues Box). Tickets at the door for all shows. Self Service is available exclusively on vinyl (until after the launch) from Dada’s, 78’s, Mills and the shows, and will then be released digitally.